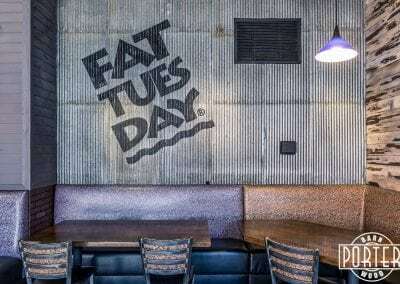 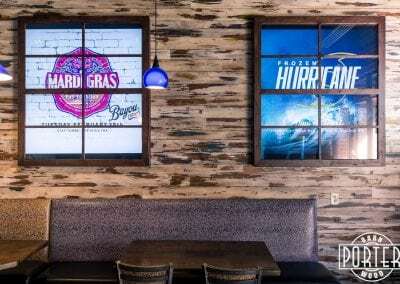 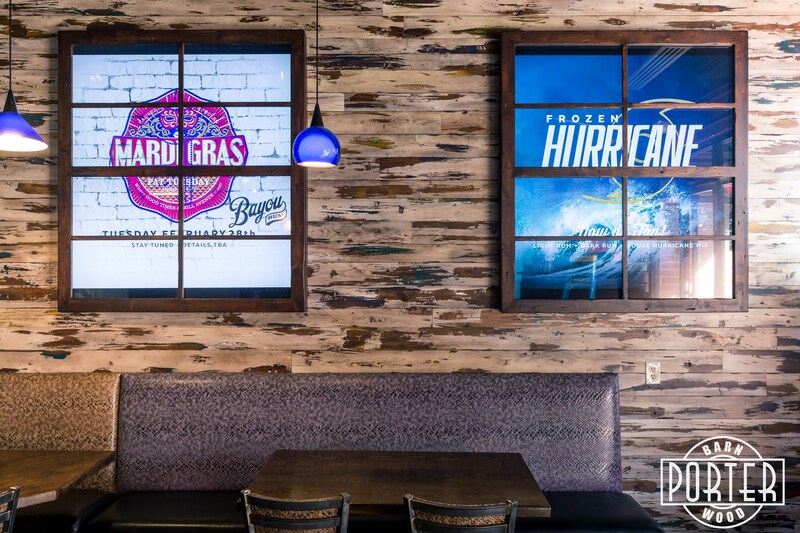 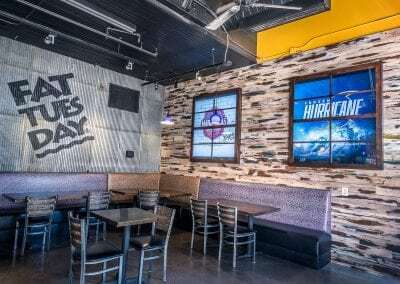 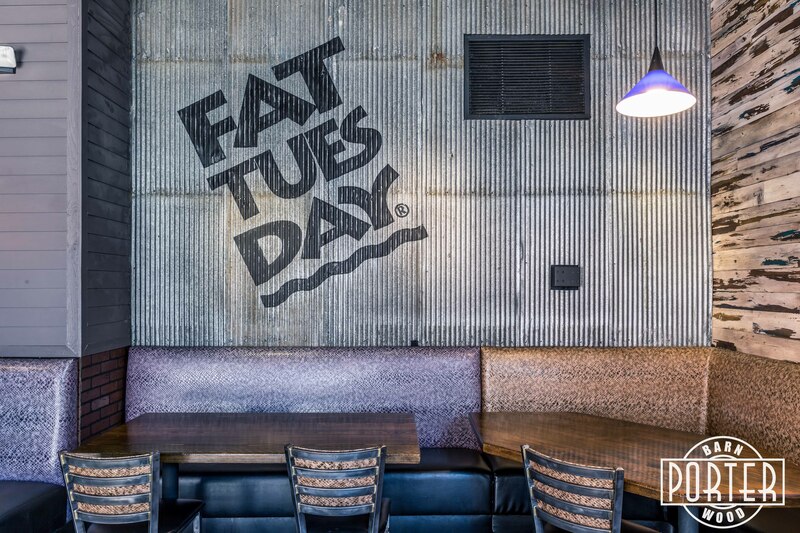 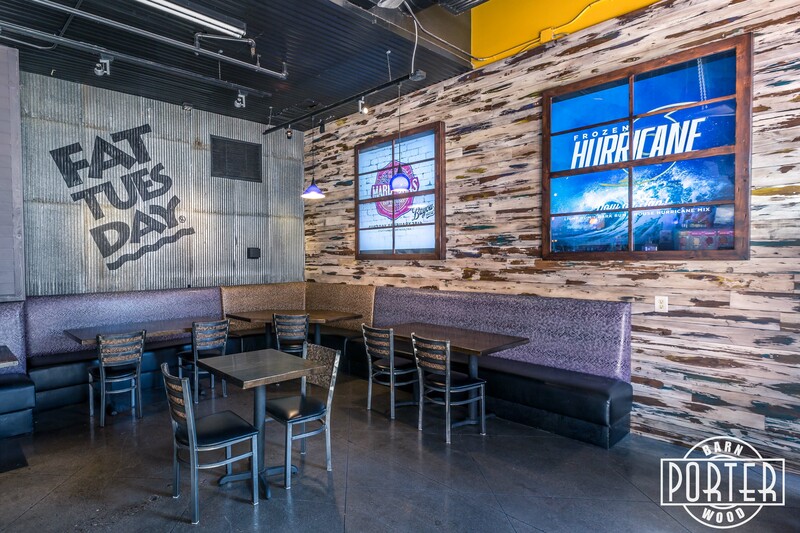 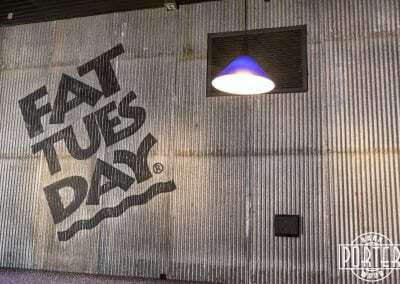 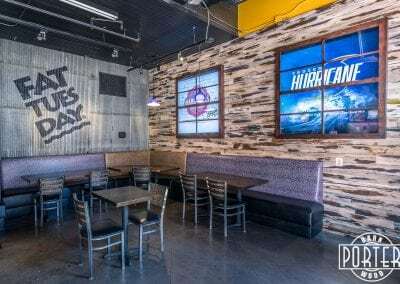 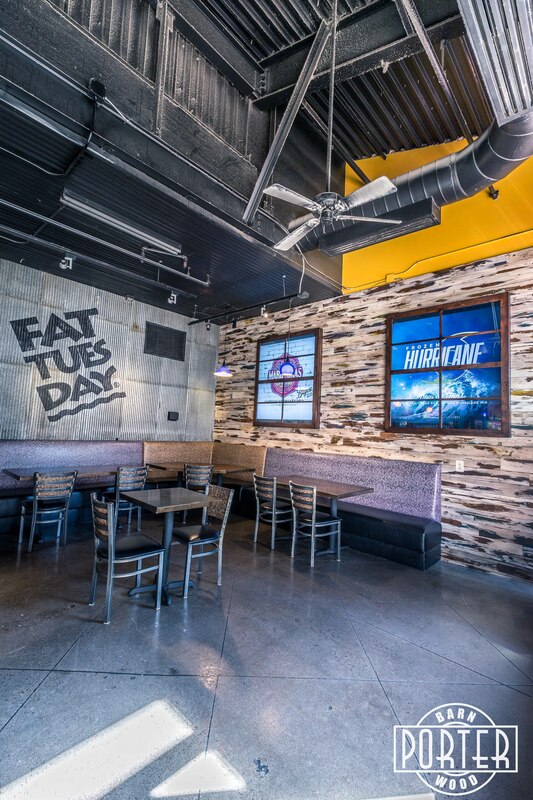 Fat Tuesday asked us to help them spice up a few walls in their Tempe location. 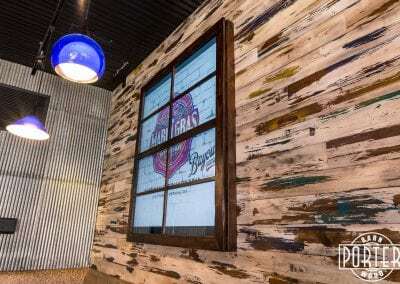 We used a custom finished multicolor distressed wood to created a furred out space for some LED televisions we hid inside custom window frames. Thomas hand-painted their logo onto the corrugated metal wall to create some fun branding. 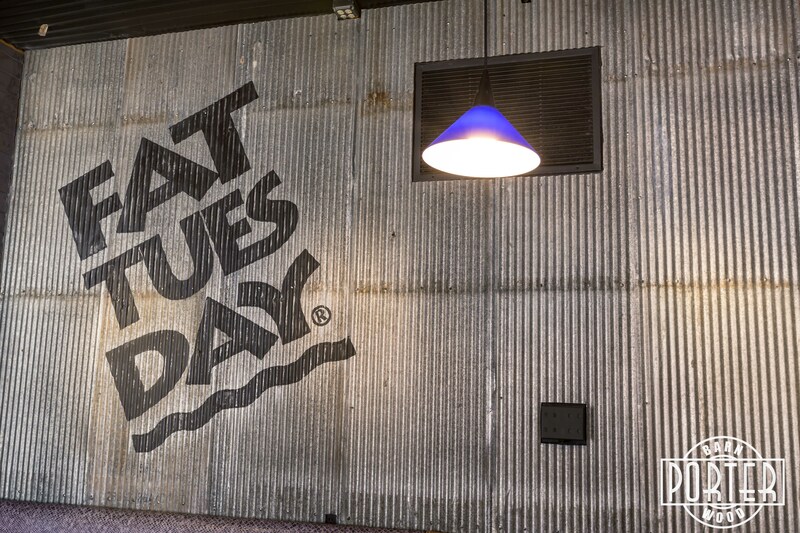 See the time lapse video for the logo paint process.